The Spring Gala is just over three weeks away! If you haven't purchased your Gala tickets yet, what are you waiting for?! Click the button above! To whet your appetite, we've included a sneak peek at some fabulous auction items in this newsletter. 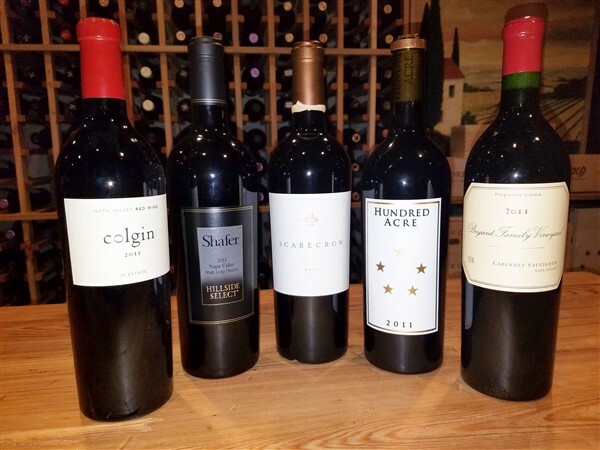 We're collecting bottles of wine for a fun Gala auction called the Wine Pull! You can help by donating a bottle valued at $25 or higher. Collections are scheduled for morning carpool at each campus, Thursday April 5 and Friday, April 6. Make sure to label the bottom of the bottle(s) with your child's name/class so they receive credit for the class competition! You can also help as a volunteer at carpool on these days! 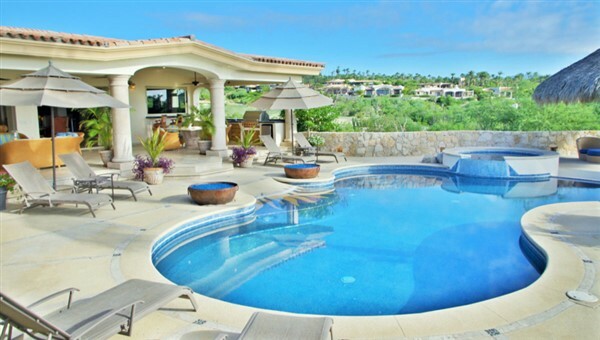 Enjoy a week-long stay at a private villa in Cabo San Lucas, on the stunningly beautiful southern tip of Baja California Sur. This package includes a luxurious day's trip at sea, on a boat with 3 bedrooms, 2 baths, and salon with full kitchen. With gratitude to Denise and Erik Gunderson and Rich O'Connell. Get up-close with raptors! 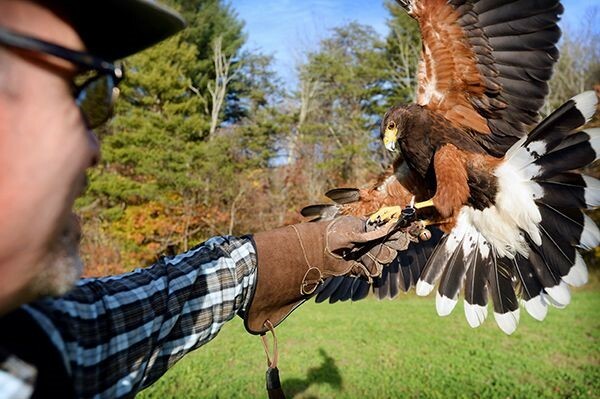 This falconry experience in Athens or Madison is for eight adults/children. There's no guns on this trip – birds of prey do all of the work. It is a 4,000 year old sport that has origins in Mesopotamia and Mongolia. 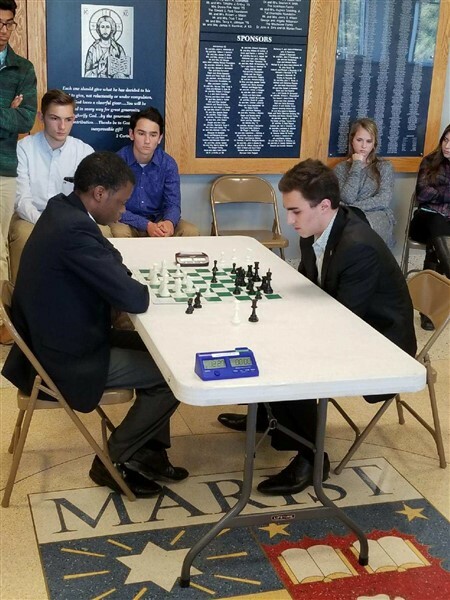 On March 22, the HSP chess team earned their second state title at the GISA state chess tournament held at Marist School. 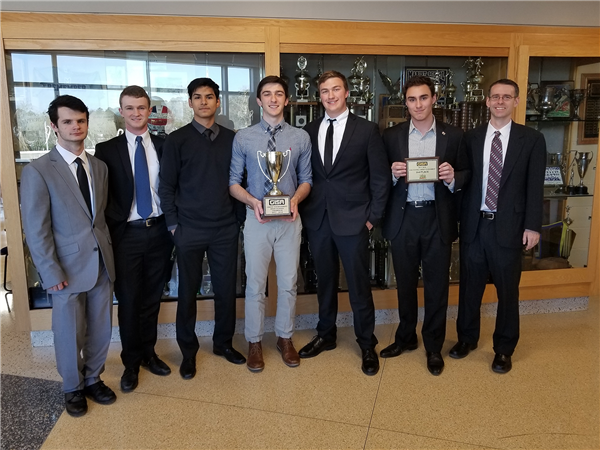 The state competition included 30 students from various Georgia independent schools. The atmosphere was intense during the games but more relaxed in between while players discussed strategies. 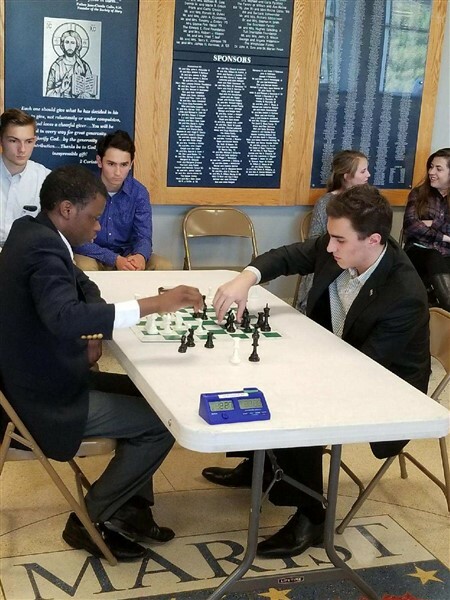 "I was nervous at the beginning of the competition—it’s the same feeling that I get before soccer games," recalled Mason Anker, president of the chess team, "but after the third or fourth game, it got easier." Each student played six games and received one point for a win, half a point for a tie, and zero points for a loss. Holy Spirit Prep ended with a total of 18.5 points outscoring Christo Rey by three. Christian DeSchepper was the overall runner-up, and this was his first year on the team and playing in the tournament. Christian had tied his opponent during the regular rounds, so they held a tie-breaker game. In the tie breaker, players only have five minutes compared to fifteen in the regular rounds, so the game goes by much faster and is more intense. Unfortunately, Christian came up short, but he is already preparing for next year’s state tournament. The following is a reprint of an email sent from Lisa Kelly, President of GOAL, to GOAL supporters on March 30. Late last night, in the final hours of the 2018 legislative session, Georgia lawmakers made a groundbreaking investment in Georgia families, taxpayers, and GOAL participating school communities by passing HB 217, which, when signed by Governor Nathan Deal, will increase the annual cap on the Georgia Education Expense Credit Program from $58 million to $100 million for the next decade! This is, by far, the largest expansion of this program since its inception, and at least for the next few years, this development should significantly increase the proration percentage that donors are allowed to contribute to GOAL each year. This was a hard fought victory, which your support made possible. First, heading into the session, key lawmakers understood that GOAL supporters are a passionate, politically-engaged constituency, the members of which were prepared to fight for a meaningful cap increase. Meanwhile, during the session, your petitions made it clear to lawmakers that the program should not be sunset after a five year period, as a few lawmakers proposed. Instead, the program continues indefinitely, though the $100 million cap reverts to $58 million after ten years. HB 217 also moderately reduces the fees which SSOs (like GOAL) are allowed to retain and clarifies and improves the SSO scholarship reporting process to the Georgia Department of Revenue, two changes which GOAL welcomes. Finally, the bill includes a provision requiring State auditors to evaluate the program in five years to determine its financial and economic impact to the State, a responsible exercise which, if conducted in a fair and objective manner, will evidence a significant annual savings to the State and great benefit to the public. Such a result should be the basis for a further extension of, or increase in, the $100 million cap. In the days ahead, I will be thanking many of the other individuals who played an important role in securing this favorable outcome, including House Speaker David Ralston, Representative Earl Ehrhart, Senator Ben Watson, House Ways & Means Chairman Jay Powell, Senator Brandon Beach, GOAL Corporate Advisory Board Member Charles Tarbutton, and GOAL’s lobbying team of Lee Hughes and Mark Middleton. Also, a special note of thanks to long-time AJC columnist Kyle Wingfield, whose commentaries in support of educational choice in Georgia have been so instrumental. Finally, please know that we thank you, for without your thoughts, prayers, and immediate and overwhelming response to our legislative alerts, this would not have been possible. We are grateful for you and appreciate the confidence and trust you place in the GOAL team, all of whom feel privileged to serve our scholarship families, participating school communities, and contributors. Holy Spirit Prep, with the help of Blessed Trinity, Cristo Rey, Marist School, Notre Dame Academy, Our Lady of Mercy, and St. Pius X, hosted the 3rd Annual Catholic Colleges and Universities Fair on Monday, March 26. Many students came to check out the myriad of Catholic colleges and universities in attendance to explore their options as they begin to plan for life after high school. Just ask your front office manager for yours! The boys are waiting to hear if their results have earned them a place in the GISA AAA state tournament. 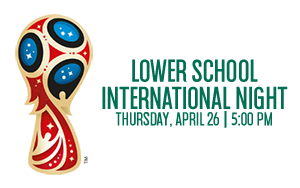 Lower School students will take their spring portraits this Friday, April 6. Students will take a series of personality portraits in the Lower School courtyard with a professional Cady Studios photographer. These fun, casual photos, are designed to capture your student's unique personality! This day is scheduled as a dress-down day. Send your students in dress-down (or dress-up!) attire you'd like to see them photographed in! Information on ordering spring portraits will be sent to you in upcoming Friday folders and school communications. 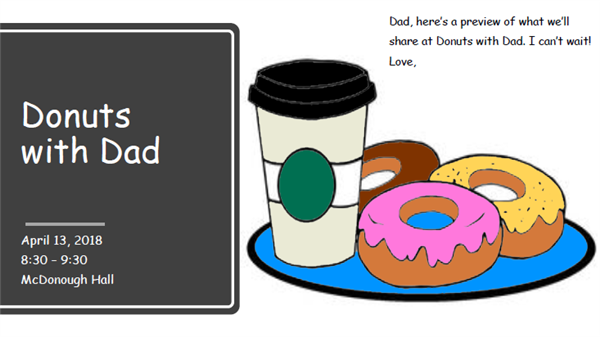 Mr. Schultz will host a coffee for family of current 6th-grade students this Friday, April 6, in the media center after the 6th grade morning Mass. He will update families on the Lower School's transition to a K-7th grade campus next school year. 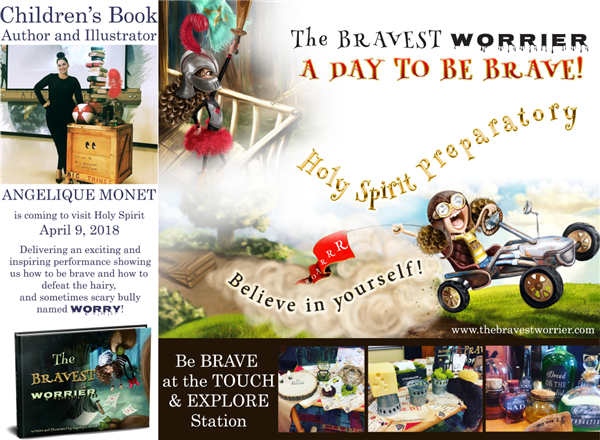 To purchase an autographed book, go to www.thebravestworrier.com/school. Use the password 032018. Orders are due by Saturday, April 7. Alpha Phi is sponsoring a blood drive next Tuesday from 8:30am to 3:30pm in the gym. LifeSouth will operate the drive, which is open to students 17 or older. Students under 18 must have a parent-signed waiver. Sixteen-year-olds may donate with an additional, parent-signed permission form. Students must weigh at least 110 pounds and present a photo ID. Alpha Phi is hosting sign-ups during lunch at the Upper School. It’s the time of year again for standardized testing! Testing is scheduled for April 16 – 18. This year, due to limitations in classroom space, we will test in the afternoon starting at 12:05PM. If your student receives extended time, please be aware that testing is scheduled to concluded at 3:20 on Tuesday, April 17. Thursday, April 19 will be makeup day for any students that missed a day of testing. All students in 7th grade will take the Iowa Assessments. The Iowa Assessments measures students' achievement and provides a comprehensive assessment of student progress in major content areas. You will receive the Iowa Assessment results in mid-June via Plus Portal. We will alert you when the reports have been posted. Please remember that standardized test results are not necessarily the most appropriate means of evaluating a child’s need to be placed at a particular level. The test results are, however, a critical tool in assessing the extent to which our students are acquiring the educational background and skills that will enable them to succeed in their future studies. The tests are also an excellent means of identifying areas of relative strengths and weaknesses in the performances of student groups, which can alert us to the need for curriculum and instructional changes. In addition, we will be able to take an “external” look at the performance of our students, independent of our school’s existing measurements of student learning and academic achievement. Both tests give great information on how students learn and think. • Please make sure your student arrives to school on time. • Please try to maintain a typical routine at home during the testing period and try not to schedule outside activities that may be unusually demanding of students’ energy. • Make sure that students have ample rest/sleep during the testing days. • Students should have a nutritional and balanced breakfast before school. Because there is a break between subtests each day, students are allowed to bring and eat a healthy snack during this time. Also, students need to bring 2 #2 pencils (no mechanical pencils) and an eraser. Below is a reprint of a letter from Mrs. Sotomayor to parents of 12th-graders sent on March 28. 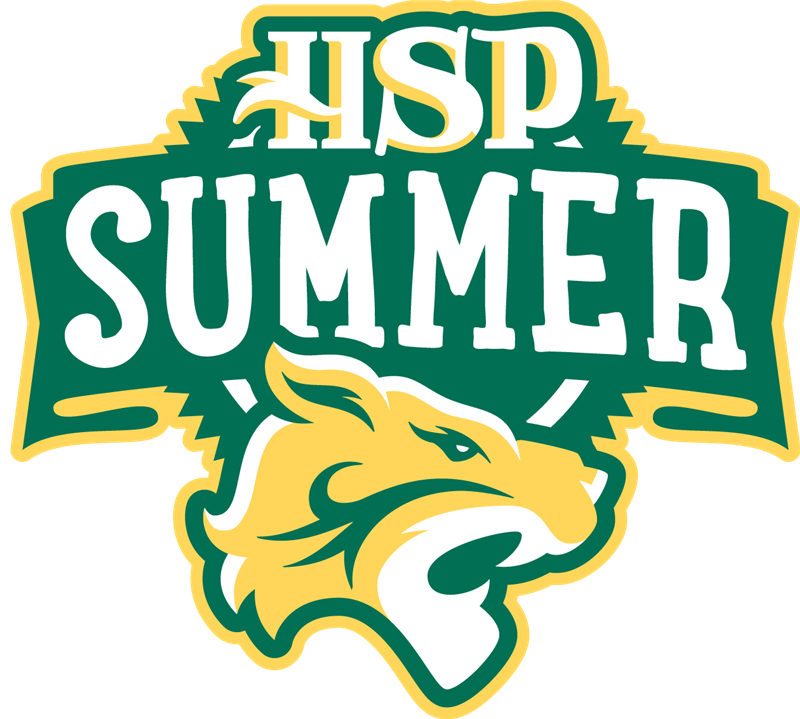 The end of the school year is so close – in just a few short months, you will become HSP alumni! We are very excited for you and pray that your last few weeks at HSP are memorable. Below, I have listed out important information regarding the last few weeks of school. Please make sure to keep this email handy so you can refer to it in the coming weeks! Students are invited to wear the shirt of the college or university that he/she has committed to for next year. Deadline for Seniors to submit service hours to Miss Van deVoorde. Remember that service hours are a graduation requirement. We will hold diplomas for anyone who doesn’t turn in service hours. Friday, May 4th – Last day of Classes! Students are welcome to show their college spirit by painting their school uniforms with the logo/name of the college/university they will attend next year. Before getting rid of all uniforms, please bear in mind that students are asked to wear their school uniform for Senior Final exams and AP Exams. The Pennant Ceremony will start at 3:10PM in the Lower Library. This ceremony is a tradition we started last year by gathering all of the seniors together and each student hangs up his/her college/university pennant to be displayed for the whole community. Please join us to celebrate with your Senior during this wonderful event. AP exams also start on Monday, May 7 through Friday, May 18. To know the order of exams, please follow this link: AP Exams Schedule 2018. For questions about AP exams, please contact Miss Rachel Little at rlittle@holyspiritprep.org. Other events – Save the Date! Graduation Rehearsal – 9:00AM, HSCC – Rehearsal is mandatory for all graduates. Mrs. Schulman and Mrs. Vincent are collecting pictures of our Seniors. Please make sure to send these as soon as possible. I will use one of each Senior’s baby pictures to decorate one of our bulletin boards. The “Baby Seniors” bulletin board is a tradition in many schools and I would like to start it at our school this year. I promise to return all pictures after Senior Week! 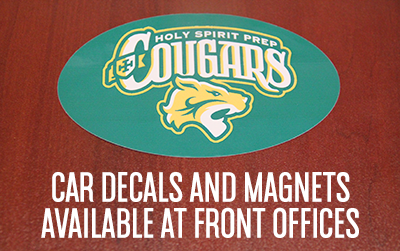 Holy Spirit Prep will host a SteerSmart assembly for seniors at the end of April. The SteerSmart program teaches teens and new drivers about the risks of the road, focusing on decisions and consequences. Students learn about the impact of their decisions, seeing firsthand accounts of fatal and near fatal accidents. The program dissects the anatomy of real and specific crashes which result in fatalities or severely injured youth, and depicts the potential cost of speeding, texting, alcohol and drugs, failure to use a seatbelt, and more. SteerSmart will hold a program for parents on Monday, April 9, at Peachtree Road United Methodist Church. For more information about that event, see the SteerSmart flyer. Some of the Holy Spirit ladies are hosting a baby shower honoring Catherine, Duchess of Cambridge, and the new baby as a benefit for the Pregnancy Aid Clinic. Join us in McDonough Hall on Sunday, April 22, at 2:00pm for a “royal” tea prepared by C. Parks Catering. Guests are asked to bring a new, unwrapped baby gift for the Pregnancy Aid Clinic’s boutique. Expectant mothers who are clients of the Pregnancy Aid Clinic are able to shop in the boutique with “bucks” they earn attending prenatal and parenting classes. A list of suggested items may be found on the RSVP link. Tickets are $50 and may be purchased online at: www.hsccatl.com/royaltea. All proceeds will go to the Pregnancy Aid Clinic. Seating is limited. Please RSVP by Wednesday, April 18th. Can’t make the tea? You may make a donation on the RSVP link. For questions, please contact Jackie Bohling or Kim Schulman. Dear moms and dads of boys! I hope that you are well! 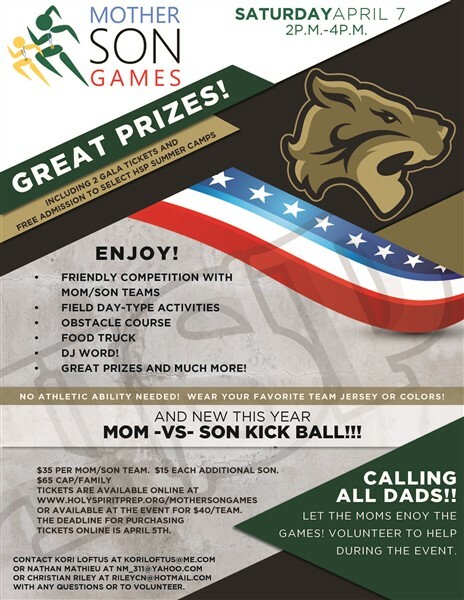 I just wanted to tell you about a great opportunity for you dads and boys to spend some quality time together. Fr Juan and I, as well as our missionaries, are planning a 25-hour Father/Son Campout on April 14-15. We do these every year and it's a blast. 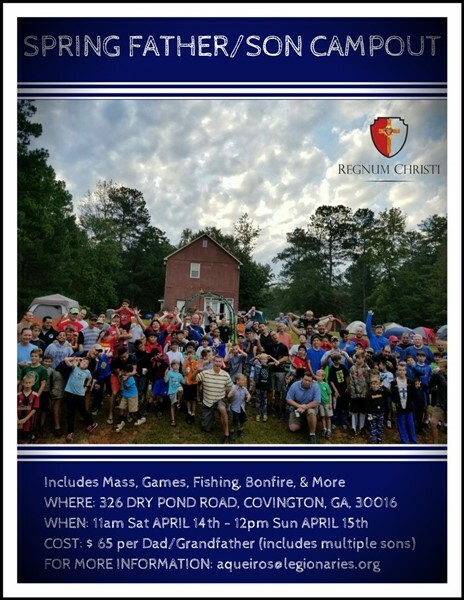 It includes fun organized games and competitions, fishing, a bonfire, Mass and adoration. We would love to have you all come. The Campout is open as well to Fathers and Sons outside of HSP!